One of the most boring parts of my job is, once defined an interface layout, is to prepare a descriptive document for the developers. When I select an element with the move tool or selecting from the layers panel, I’d like to have a new option: create information element. This information will be placed in an “Info layer”. Each info layer can have multiple information elements. The info to show, on selecting create information element, can be set by default, but for each element I’d like to customize it. I’d like to see a view like the dropdown of snap options with multiple options where I can chose which informations I want to show (e.g. 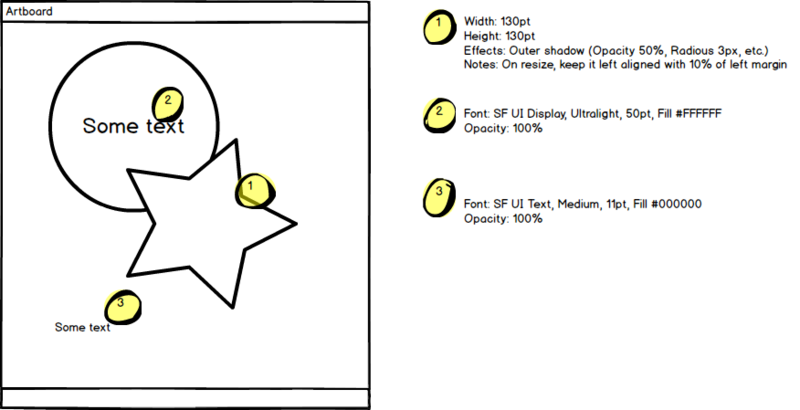 width, X position, opacity, effects informations). 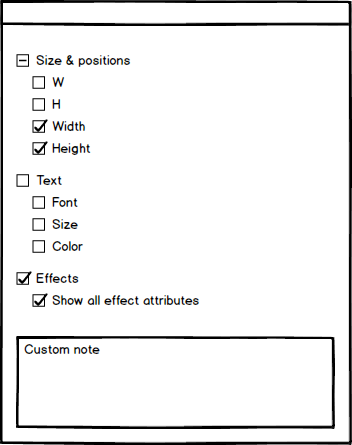 A custom text field to manual insert free text notes is welcome. Dynamic info layer: if the element changes properties (on change font size, color, position, etc.) the info layer updates his content. 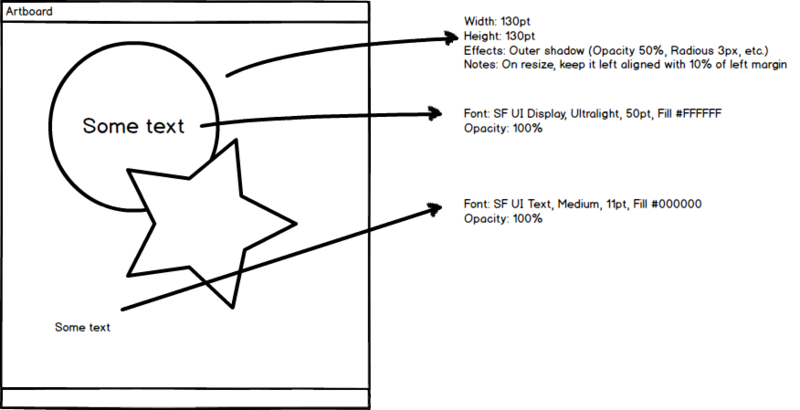 This will reduce the designer stress of changing something in the layout. Implement the autoresizing and auto layout constraints of the elements not only as information, but like the Lock children feature, as real binding with the parent element. So, the transform panel (or a new “constraints”) panel could have this options and if I resize the parent element, the child could be always in center or similar behaviors.